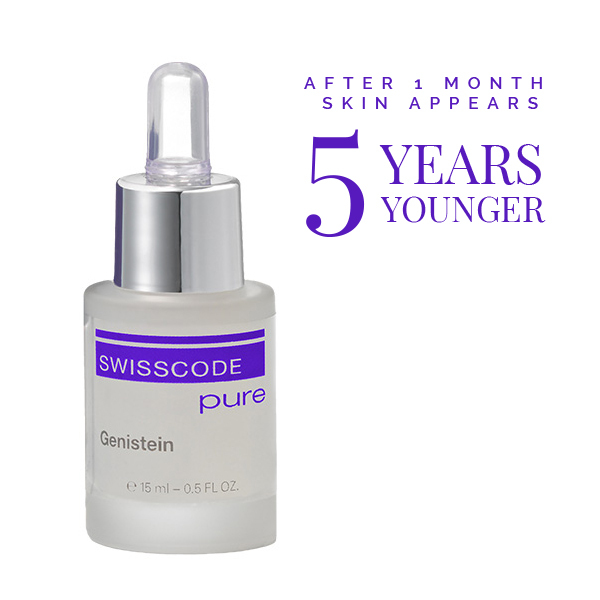 SWISSCODE Pure Genistein concentrate gives a true collagen boost. It stimulates deep collagen production whilst restructuring and firming for a more radiant skin. The active ingredient of Genistein is obtained from Soya beans and is a proven remedy against the symptoms of skin ageing. Genistein reduces wrinkles, firms the skin and makes it appear years younger.